In recent years, the industry regulators have been taking action to make sure that customers can afford their energy and water bills. Ofgem and Ofwat are responsible for ensuring that all energy and water suppliers in the UK are meeting their legal standards of service. The energy and water suppliers receive large fines whenever they fail to do so. Companies across both of these private industries frequently receive criticism for overcharging customers and failing to provide the required levels of service. This is why independent suppliers continue to go out of business. In times of austerity, most people are feeling the pinch – will this improve in 2019? The introduction of Ogem’s price cap at the start of 2019 came with a lot of fanfare. However, it may be much ado about nothing. 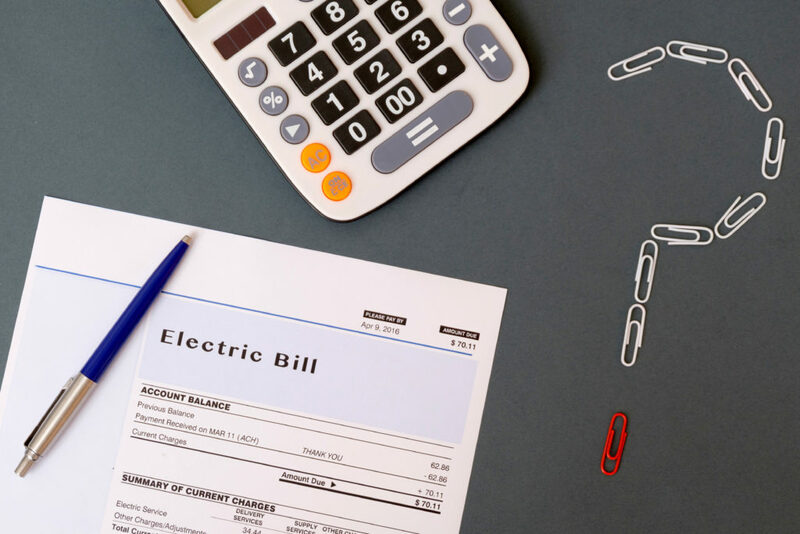 The price cap, not to be mistaken for a price freeze, is the maximum amount that energy companies can now charge their customers on default tariffs annually. Ofgem set the price cap at £1,137, predicting an annual saving of around £76 for 11 million customers in the UK. Sadly, this promise turns out to be shortlived. Ofgem will adjust the price cap twice a year according to the costs of supplying energy. The first adjustment is due to come into effect in April 2019. They will be announcing this new price cap in February. Unfortunately, the forecast is no longer looking good for customers on default energy bills. Due to increases in wholesale and network costs, Ofgem is likely to increase the price cap as well. Analysts are predicting a percentage rise of up to 9%. This would wipe out the previous savings and actually cost extra. The adjustment could add between £80 and £100 annually to default tariff energy bills. Ofgem will then review the price cap again in August. If the costs of supplying energy continue to increase, then Ofgem’s price cap might increase again, too. This seems to make it redundant. Are people really better off on a default tariff with the price cap? Larger energy suppliers have been trying to get around the cuts from the price cap by getting customers to move onto fixed tariffs. The price cap does not apply to these, meaning that the suppliers can charge more. Default tariffs are normally seen as being poorer value, but many customers might be misled by thinking that a fixed tariff is better value. A lot of fixed tariffs actually exceed Ofgem’s price cap. Additionally, fixed tariffs usually have a high exit fee and a contract term of up to 18 months. If a customer decides that the tariff isn’t the best for them, it might be too expensive for them to switch, so they end up stuck in their contract until the end. Another downside of the price cap is that energy suppliers are bundling their tariffs. This means that the number of cheaper tariffs available has shrunk by 90%. The gap between the cheapest tariff and the standard variable tariff for most suppliers has seen a reduction as a result of the price cap, but it seems to be doing less good for the consumer than anticipated. Unlike energy, consumers cannot choose which company supplies their water services. One company will have a monopoly over a particular region, with only business customers able to actually choose their water supplier. With little competition between them, water companies have less incentive to provide good customer service. They might even charge higher prices than necessary for their services to increase their profits. Ofwat exists to regulate prices and practices so that water suppliers can meet legal obligations to their customers as well as the environment. They review the prices every 5 years, with the latest review in early 2019 set to affect water bills beginning from mid-2019. Water companies have already submitted their business plans for 2020 – 2025, which Ofwat will be assessing and then making decisions on. From 2018 to 2019, on average water bills saw an annual increase of £9. If the proposals from the water companies do get the green light from Ofwat, then customers could see changes as drastic as a decrease up to 14%. Depending on the supplier, some customers may be unlucky enough for their water bills to increase by up to 3.5%. Severn Trent intends to reduce water bills by 5%, United Utilities by 10.5%, South West Water by 11%, and Northumbrian Water by 12%. The largest company, Thames Water, will be keeping rates flat until 2025. They will be offering discounts to struggling customers, however, as will United Utilities and Severn Trent. Several water companies are also planning to reduce leakage and encourage a reduction of daily household water usage. On average, customers should still be able to save £15 to £25 per year on their water bills between 2020 and 2025, according to a prediction from Ofwat.